Is hoverboard a menace or the future? It seems as if the world is struggling to decide and meanwhile we are left with incidents that involve the use of hoverboard and the response that these incidents manage to get is surprising. 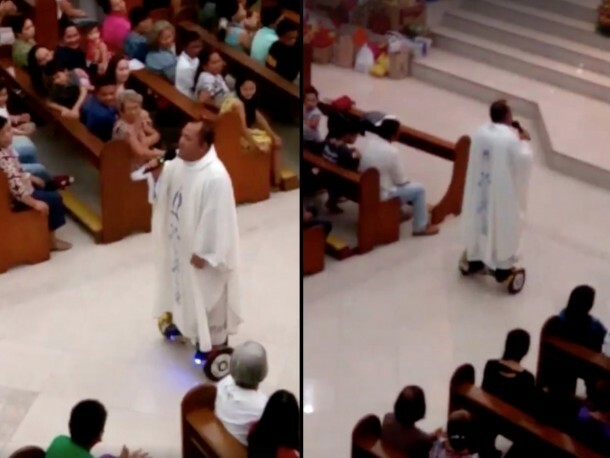 During the last week of holidays, a priest in the Philippines was seen riding a hoverboard down the aisle while a mass was going on and singing a song to his congregation. You can watch the video below, let us know what you think of this incident in the comments below.